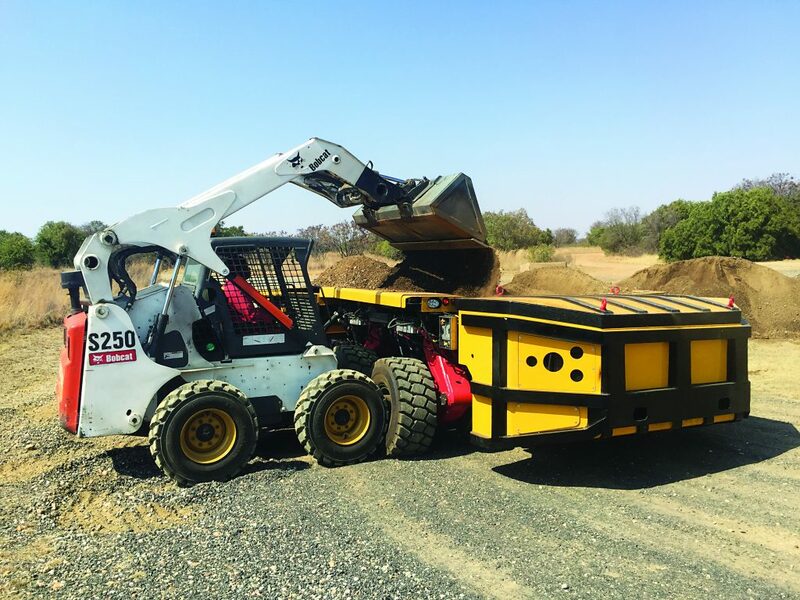 The company’s healthy apron feeder order book includes exports to Ghana, the Democratic Republic of Congo and Spain, as well as three machines for one of the country’s largest open cast coal mines in the Lephalale area. “Customers are increasingly opting for our apron feeders which combine competitive pricing with exceptional quality,” comments product development director, Martin Botha. The company has been contracted to supply four apron feeders to a new client for use in a Spanish copper mine. These are the first Osborn apron feeders sold into Spain, Martin reveals. One unit is 2.4m x 12m in size. The others are 1.5m x 6m machines. This significant order has a total value of around R26 million. One of South Africa’s largest open cast coal mines has invested in two new Osborn apron feeders as part of an upgrade programme to meet the coal supply demands of Medupi power station. These new machines are 1.5m x 14m in size and have been customised to meet the client’s requirements. Their unique features include special paint, galvanising and guards, customer specific drives and tailor-made auto lubrication systems. The machines’ vast size poses some shipping challenges that Osborn will overcome by stripping the units into three segments for transport to the mine, Martin advises. The scope of the company’s contract includes designing, manufacturing and supplying the apron feeders, as well as supervising their commissioning. The export order to Ghana comprises one 1.8m x 7m apron feeder, three 1.2m x 8.5m units and a 1.5m x 8m machine. “The scope of our contract includes manufacturing and supplying the units, complete with guards and hydraulic drives with power packs,” states Martin, noting that Osborn won this order based on the outstanding quality of its machines. The company will supply a 1.8m x 6.3m apron feeder to a mine in the DRC. “It is exciting to have plants around the world recognising our well-established reputation for supplying apron feeders that are rugged, long wearing and capable of operating efficiently in the most arduous conditions,” Martin stresses. With their heavy-duty construction, these apron feeders are designed to handle feed sizes of up to 1 500mm. where no fines removal is required or where fines are removed by a separate dribble conveyor. “When the feed material is wet, sticky or clay like, and where other feeding equipment cannot handle it, our apron feeder is the ideal machine for the job,” he asserts. Martin explains that the apron feeder can be installed in a horizontal or inclined position (up to 15°), depending on space limitations. Outlining the Osborn apron feeder’s function in the circuit, he says that it provides a reliable means of controlling the feed rate to prevent surge loads to primary crushers, belt conveyors and other plant and equipment. Osborn offers a complete range of standard and extra heavy-duty apron feeders suited for the most testing conditions encountered in the mining and quarrying industries. Ranging in size from 900mm wide to 3 500mm wide, the apron feeders can be supplied in lengths to suit customers’ requirements. They are offered with either electro-mechanical or hydraulic drives. The cast steel or manganese flights are designed to overlap, to reduce spillage. The machines are constructed using traditional D4, D6, D7, D8 and D9 track components. Osborn has, over many decades in business, developed a formula to determine the ideal size apron feeder for a customer’s requirements. “Factors like flights and chain type; start-up and running torque; chain factor of safety; start-up conditions; and running conditions are all considered in the calculation. “For drive sizing, we calculate breakaway torque; running torque; absorbed power; installed power; head shaft speed; and chain pull. Our vast experience and expertise ensures that end-users get the best machine and optimal performance,” Martin concludes.